PLUS get all the latest on this year’s piano courses and festivals in our annual 12-page Summer Guide. 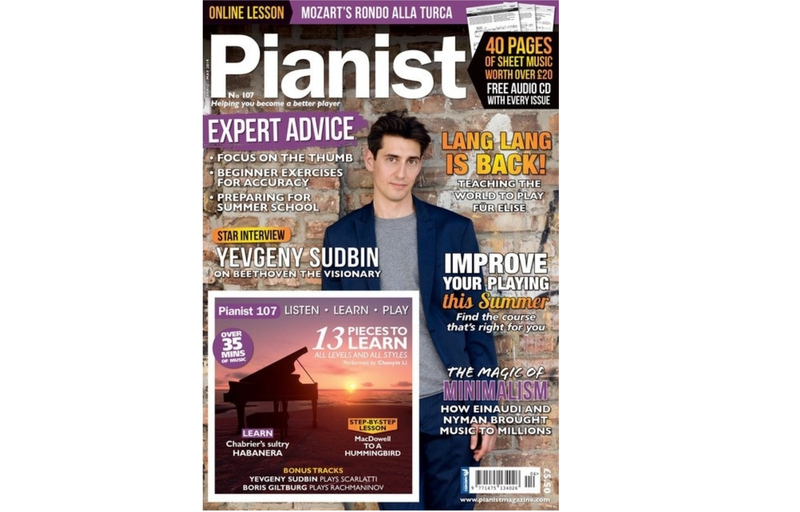 Our latest issue of Pianist includes interviews with two powerhouses of the piano world: Russian pianist Yevgeny Sudbin features on our cover as he opens up about his love for Beethoven and astrophotography, whilst Lang Lang shares all with editor Erica Worth about his brand-new album The Piano Book! What else is inside? NEW & EXCLUSIVE VIDEO LESSONS TO DISCOVER including Noriko Ogawa on Mozart’s Rondo Alla Turca (the score of which appears inside) and Frances Wilson on the benefits of slow practice. Watch both video lessons below. Don’t wait until tomorrow. Start your journey to becoming a better player TODAY. Order issue 107 here.